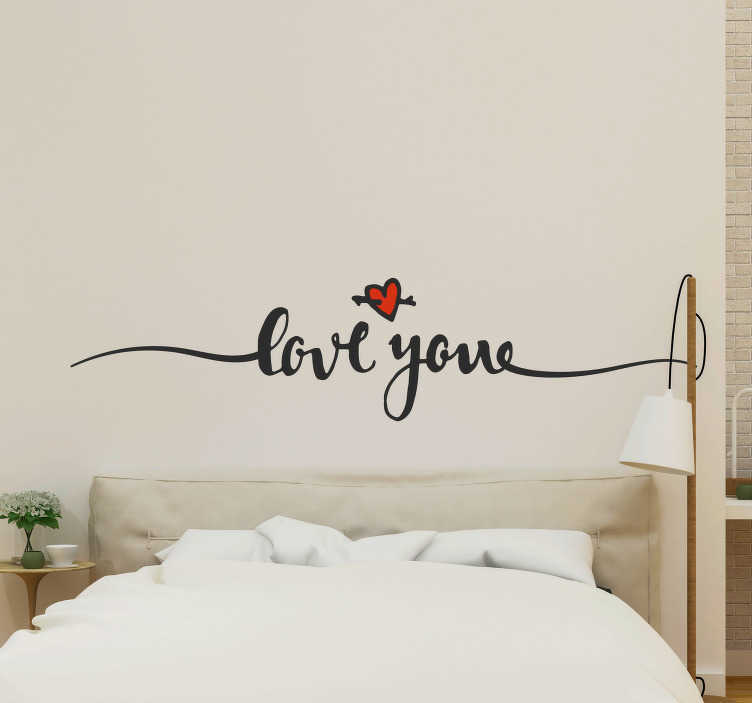 Every bedroom needs a little bit of romance; now we at Tenstickers can offer you a perfect solution with this headboard sticker - Maximum romance, minimum fuss! Depicts a heart, with the words ´Love you´ written beautifully in the middle! Perfect bedroom decor for those couples wishing to decorate that spare wall in their bedroom! Stickers are very good quality. It's very easy to stick them on the wall. Mine is placed just above the radiator and yet they do not peel off at all. Great choice :) I recommend !! !